Personal injury, product liability, condemnation, construction, contracts, defamation, domestic relations, environmental, professional liability, securities, and trusts & estates. • Certified Mediator, Supreme Court of Virginia. • Judge, 22nd Judicial Circuit of Virginia (Franklin County, Pittsylvania County, and the City of Danville), 1994-2014. Served two terms as Chief Judge. • Judge, 22nd Judicial District of Virginia, 1984-1994. • Commonwealth’s Attorney for Franklin County, 1976-1984. Elected for three terms. • Former Town Attorney for the Town of Rocky Mount. • Former attorney in private practice, Rocky Mount. 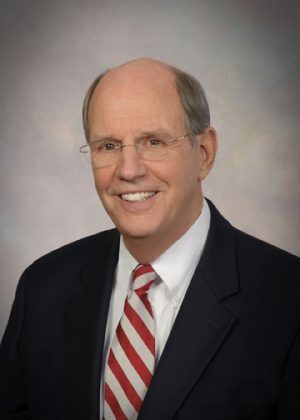 • Past Member, Board of People’s National Bank and Board of First Virginia Bank. • Served nine years on the Judicial Council of Virginia. • Served thirteen years as a member of the Editorial Board for the Virginia Benchbook for Judges and Lawyers. • Past Member, Executive Committee, Judicial Conference of Virginia. • Served on the Judicial System Advisory Committee and on the Commission on Courts in the 21st Century. • Served as an officer in the Adjutant General’s Corp. of the U.S. Army and received the Army Commendation Medal. • University of Virginia, J.D.